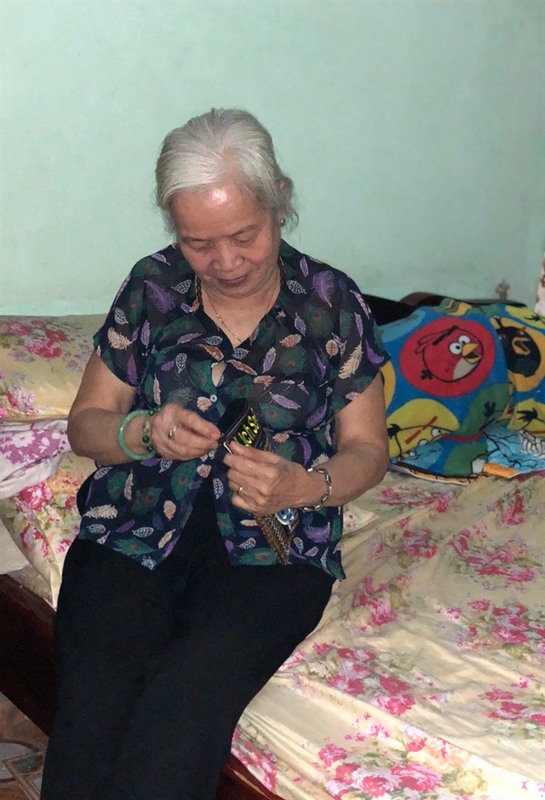 At 75, Maria Nguyễn Thị Gái, works every day, spending the pittance she earns on charity work. A member of the Hàm Long Parish, in Hai Bà Trưng District in Hà Nội, she has just been recognised by authorities as an example of the Patriotism Movement in the period 2013-18. Born to a poor family on Hàng Bột Street in Đống Đa District, at a young age she accompanied her parents to work to earn money. She shared chunks of bread with poor girls and gave change to a young boy who had quit school to take care of his mother in hospital. Gái is always busy with trips. She meets donors to ask for rice to give poor people. 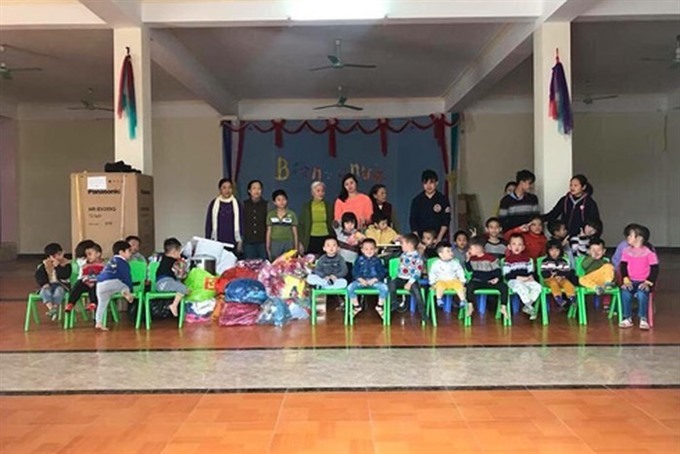 She knocks on every door for used clothes, bringing them home to wash and carefully pack up for children in need in rural areas in Lào Cai and Ninh Bình provinces. Now her life is stable. Her five children have grown up and have their own families. She still wakes up early every day, does housework and rushes to help at a restaurant on La Thành Street. She works from 7am to 3.30pm and gets VNĐ100,000 per day. From that sum she saves a small part in a cloth bag. She hides the bag in her house as the sum is valuable, containing her sweat after working many hours for the poor. Spending little on herself, Gái is always willing to help needy people. Finding an old man freezing in cold weather, she gives him a new scarf and tries to find him warm shelter for the night. On meeting a poor mother with child, she hands over fresh eggs to feed the baby. "I found Buddhism and Catholicism share the same moral teachings," she said. " Catholicism is a little more strict as followers confess their sins regularly. Both teach people to live well and help others." "My only wish now is that I stay healthy and am able to work, to earn money to support poorer people," she said. In her small house, old furniture is a memory of the past. She won’t buy new items as she doesn’t want to take money from her children. “She always thinks of poor people,” said Phạm Thị Sơn, an official from the local Women’s Union. “When learning a neighbour is sick and needs help, she immediately tries her best to help. “She often helps lonely old people living around, helps them take showers and takes care of them when they are sick. Her daughter Phạm Thanh Bình and granddaughter Trần Thanh Huyền have taken after Gái, doing their own charity work. Bình cooks porridge to hand out to needy patients at nearby Thanh Nhàn Hospital every Saturday. “When I was small, though my family struggled, my mother spared clothes and food for poor people,” Bình said. Mentioning good examples in the area, Nguyễn Đăng Khoa, chairman of Bạch Mai Ward People’s Committee, said Gái was one of the best.